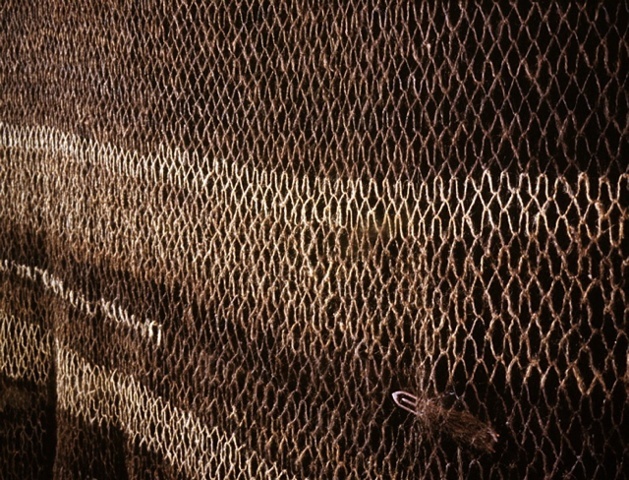 In this body of work, my interest in identity and language became concerned with ‘place’ as an area for the investigation of cultural psyche. 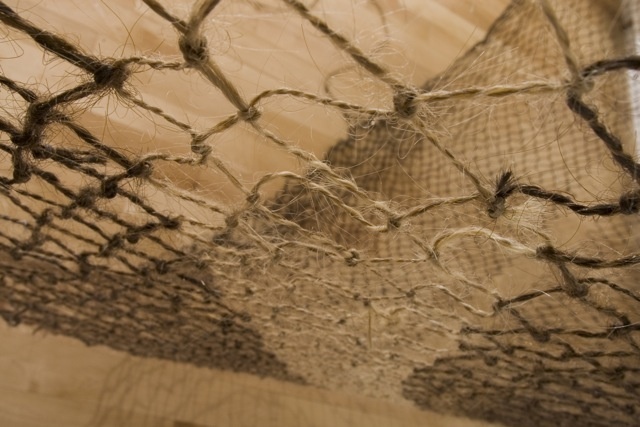 Having grown up in a maritime culture, I felt inspired to work on a series of pieces that would evoke the mythical and etymological crossovers between textile making and storytelling by men at sea. 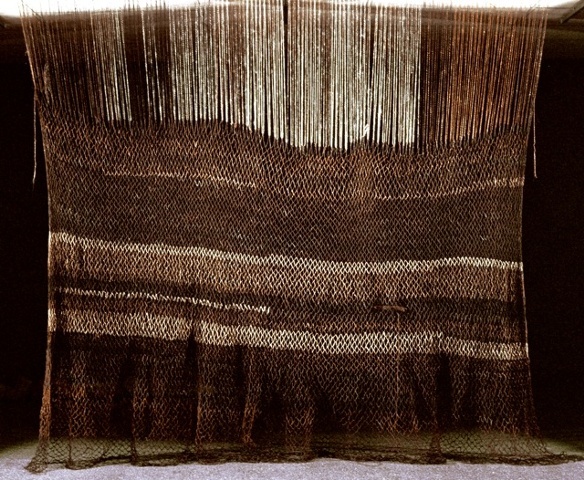 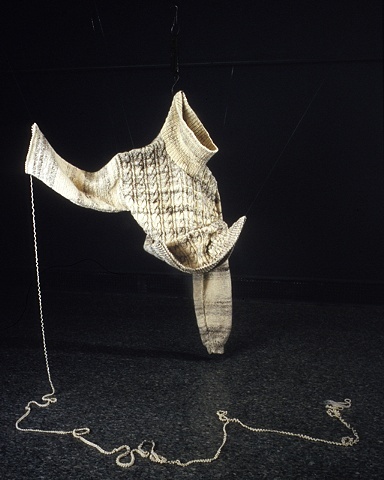 I followed one of the invisible threads between text and textiles by symbolically referring to the ‘spinning of yarns’, particularly feminine-specific myths or stories which would have evolved within this context. 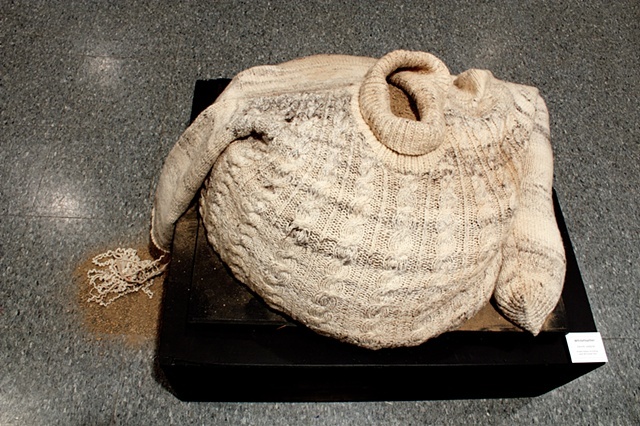 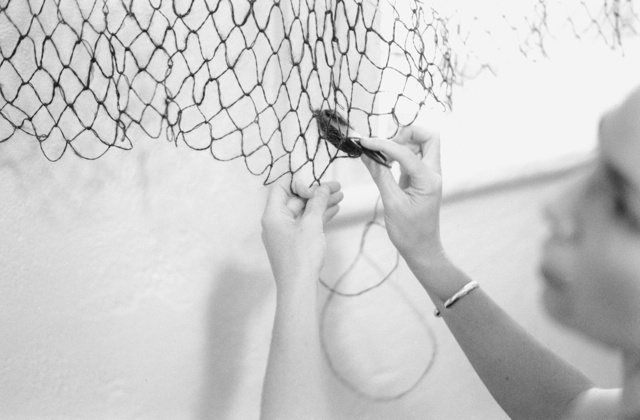 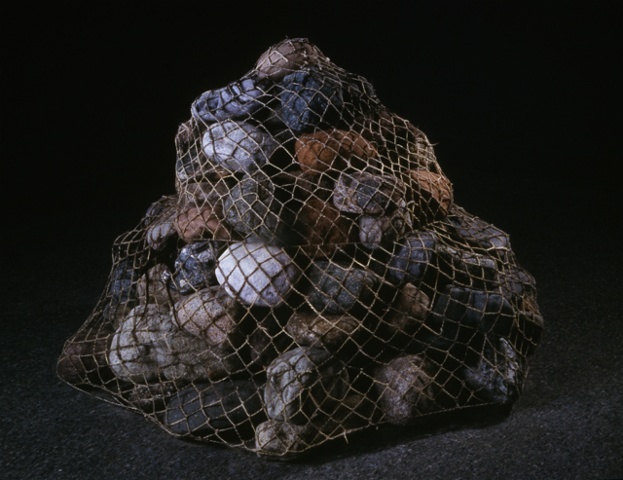 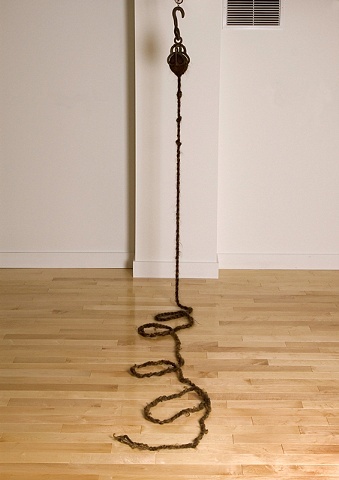 I intertwined these references with the literal act of textile production employed by sailors and fishermen for practical reasons; the making of rope, knotting, netting and knitting. 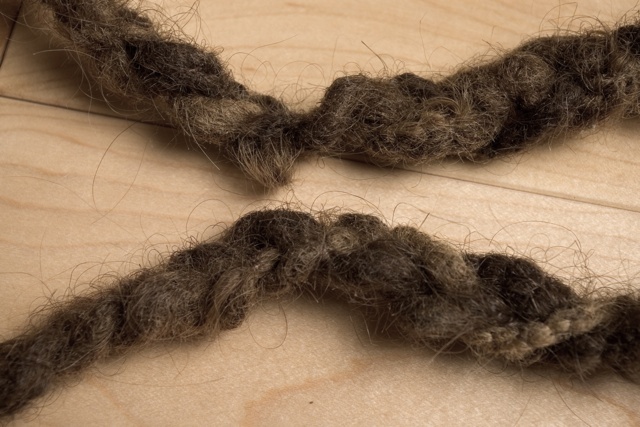 The use of (mostly) women’s hair as my fiber conjures references to female sexual power as portrayed in archetypes familiar to a life experience at sea (mermaids, sea hags, etc.). 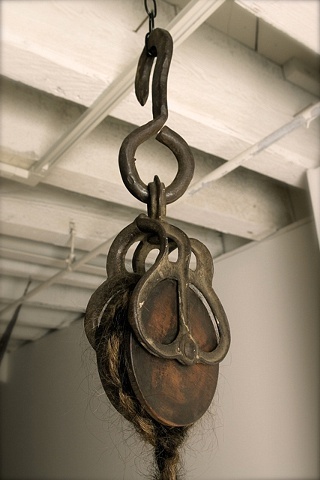 I wished to exemplify the longing aroused by memories of the beloved at home, which perhaps inspired such tales of sexualized/ de-sexualized female archetypes. 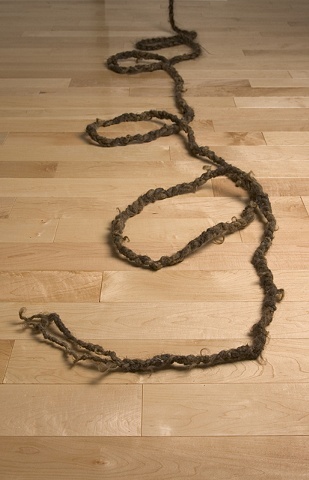 With these pieces, it was my intention to dissect notions of binding, both literal and emotional — the ways in which we symbolically possess our objects of desire through tangible and intangible means in order to bridge the divide between fantasy & reality and locate that thread to our essential selves. 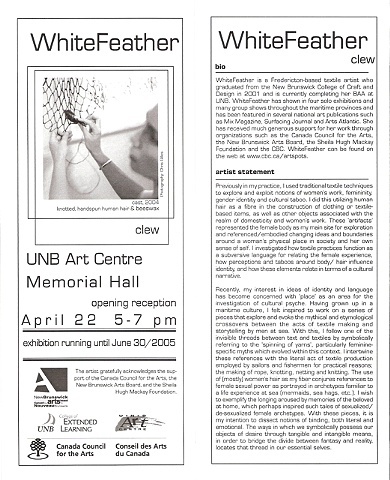 Exhibition invite and artist statement for Clew at the UNB Art Centre, Fredericton.